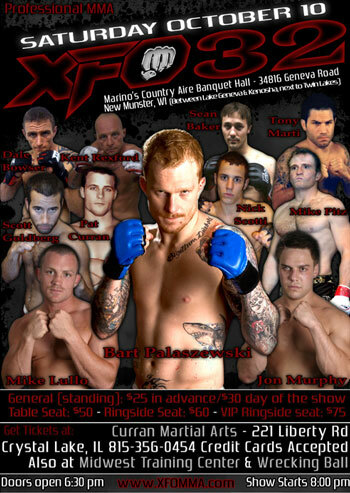 Bart Palaszewski will be part of the card for XFO 32, set for October 10th in New Munster, Wisconsin. New Munster is right across the Illinois border. Bartimus will be fighting for the first time since his loss in April at WEC 40 in Chicago, when he was defeated by Anthony Njokuani by TKO. The matchups and card will be finalized shortly and we will have that for you here at Chicago’s MMA.